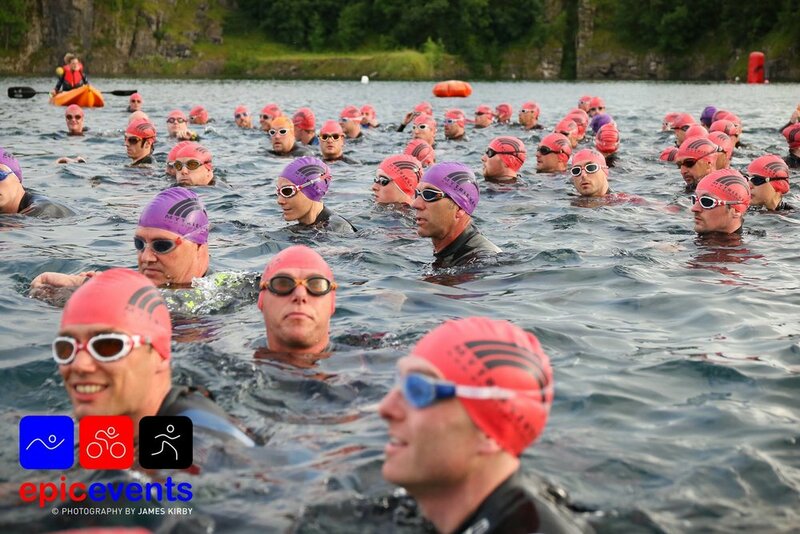 It was a very productive evening's work for Mark Egan at the popular mid-week sprint triathlon at Capernwray on Wednesday. As a coach it's extremely beneficial to be present when one of your athletes is competing - it's hard to simulate this environment so it's a true test as to where the athlete really is, both physically and mentally. If things are going well you should see progress in their all-round performance. Pre-race chats and post-race evaluations make a huge difference to development and strengthen the coach/athlete relationship. On occasion it can even be beneficial to be competing yourself as it can give a different perspective on the performance or execution the athlete achieved. With this in mind Wednesday evening was an appropriate event for me to do just that. In terms of what we wanted out of his four disciplines, Mark achieved all of his pre-race goals which bodes well ahead of the next ITU AG World Qualifier at the TriHard Events Redcar sprint triathlon on 30th July. Finishing times and positions always make things interesting but an ambitious athlete's main focus should be on consistency and progress. Mark's certainly heading in the right direction and enjoying it in the process. The 'process' of becoming a smart, rounded and confident athlete isn't a 'quick fix', it involves genuine desire, trust, patience, good communication and hard work. As a coach who still competes, it's important you are able to practise what you preach when racing. I executed a solid performance and after a good battle with Andy Horn of #COLT I managed to use my experience to come home in 1st place. Like most athletes I find racing challenging (which is why I do it), but I also feel it helps me retain and keep at the forefront of mind what it means and what it takes to perform; having genuine empathy with the athletes is paramount to good coaching. Triathlon is an incredible, dynamic sport that appeals to many and for varying reasons. There are a number of competitive, aspirational individuals who certainly train hard but frustratingly improve very little. If you are one of those individuals, Personal Coaching as opposed to 'training hard' or a 'cut & paste' training plan is possibly the best investment you could make. Conversely, if you're not a competitive, aspirational individual it would most likely be a waste of time and money.